We offer personalized catering services for office events, wedding receptions, and other events. Please call to schedule an appointment. Sundays are available for reserving private dining events. A minimum of 25 people is required. Please call for further details. Wave Bistro is a family owned, Asian-Fusion restaurant. 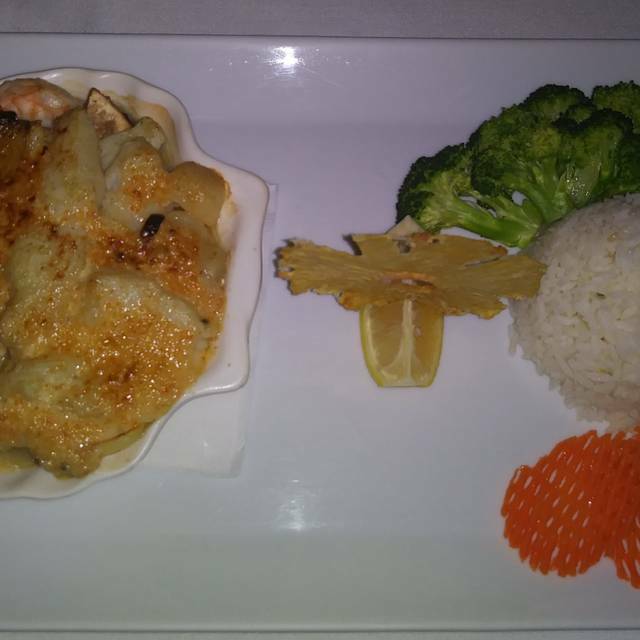 We blend different tastes such as Japanese, Thai, Chinese, and French cooking methods to craft unique and flavorful dishes. Best Chinese cuisine I have experienced in Omaha. Highly recommend. The atmosphere of the Wave Bistro was very calming and soothing. Everything on the inside gave an upscale feel. The food was amazing, we started with a couple rolls of this sweet bread with almond butter. The rolls had a nice crisp exterior with a fluffy light inside that will leave you wanting more. We then had the Crab cakes for a starter, the Crab cakes were cooked perfectly and melted in your mouth. I had the Orange Chicken that was served with a few pieces of broccoli and a side of steamed rice. The Orange Chicken was crisp on the outside and moist on the inside with a nice coating of the orange sauce. The broccoli complimented the chicken well and had a nice hint of butter. The steamed rice was perfectly cooked, had a nice texture and was very sticky. I loved every part of my meal and the server was beyond attentive and helpful. I would definitely recommend this to anyone looking from some quality Chinese dining. What an incredible meal. Well prepared, nicely served with great service. Great Value, too! Excellent as always. The food was delicious it’s never exactly the same as the last time. It’s one of our favorite places. Great service! Great, quiet atmosphere. Great food...always a great choice! Enjoyed Valentine's Day dinner, busy and very popular. Our party of four all enjoyed their food (from the regular dinner menu and the couple's three course Valentine special). Great food. The flavors and the portions were very good. The presentation was very nice and the decor was a step up from a lot of small neighborhood restaurants. We very much enjoyed our dinner and plan to return soon. Always a wonderful meal! We enjoy it each time we eat there. Was a wonderful experience for Valentine's Day. Would definitely recommend for special occasions. Awesome food! Great menu selections! Reasonably priced too. The food is excellent and the service is friendly and very competent. Everyone works so hard!!! This is my favorite restaurant in Omaha!! Very nice upscale place with good food and service. Definitely a must try. No serious complaints. The Bistro was busy during the dinner hour and service was a bit slow but not terrible. Food was hot and fresh when served. Taste was excellent! Will try again. I would highly recommend the cashew crusted salmon - which is one of their specialties. My meal was delicious. The menu is slightly limited so I definitely will be back - but not regularly. Lovely restaurant, white linen table clothes, nice ambiance. Food presentation is very elegant. I had the cashew crusted salmon, which is excellent. We have been there twice, the first time service was absolutely outstanding. This time, we had a male server, he was a bit hasty and brisk. Therefore, our experience wasn’t as impressive as it was the first time we went. 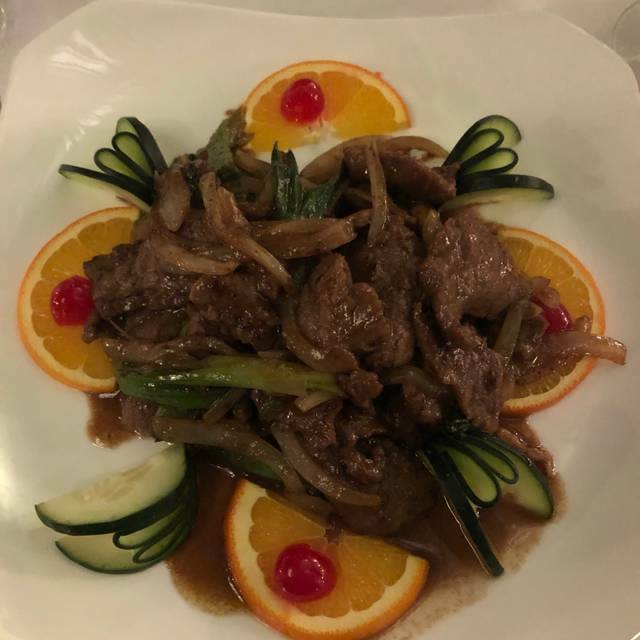 Overall though it is a great place to dine, and a little bit different than your typical Chinese cuisine. This is top notch Chinese food. Best quality ingredients cooked to perfection. Best in town, hands down!! Delicious food! I have never had such soft and juicy chicken! We waited for food for quite a bit, but it was worth it! We love Wave Bistro. Every time we are there, the food and service are both excellent. There is a woman (not sure if she is an owner or manager) that comes to the table every time to make sure you are happy with everything! The food here is amazing. 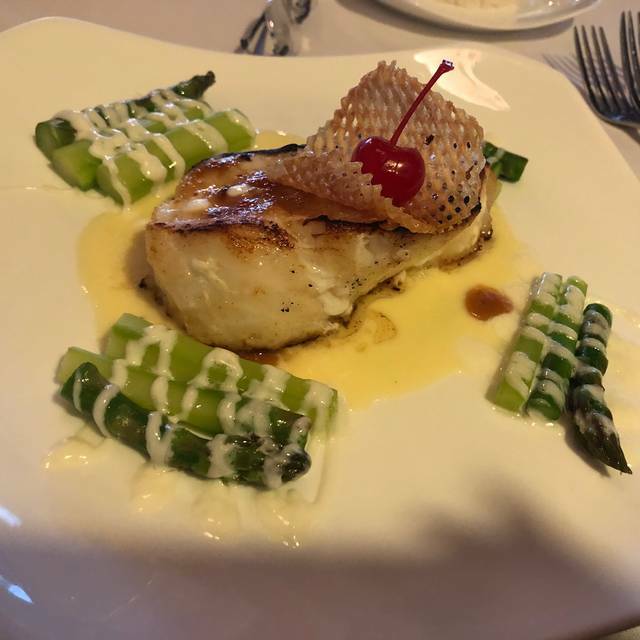 I chose the wave bistro because I love their food especially the crab cakes appetizer. We were early for our reservation because our movie got out sooner than we expected, but the hostess was able to seat us within a few minutes. Service as always was excellent with much attention given to detail of the table and the food. Because it was New Year's Eve, I think they must have added a few extra tables because they were very close together and the noise level was not really conducive to private conversations. Still gave it a 5 star rating because I do love their food and their service. This is one of our favorite restaurants. The Wonton Soup was super and the Chicken in Spiced Hoisin was delicious. We ate on New Years Eve and the noise level was very loud. That was our only complaint. We will be back. We had a party of 6 for New Year's Eve. Of course it was quite busy, and service was a bit slower than normal. Between the 6 of us we had the short ribs, seafood dynamite and cashew crusted salmon. We all loved our choices. The server also suggested a great wine. This place has never disappointed. Highly recommended. My salmon was cooked perfectly! Service was wonderful! Not as good as the ratings. The appetizers (spring rolls and oriental dumplings) were very good. However,of the seven (7) of us dining, the food was barely luke warm for two of us (it had to be sent back and they simply re-plated it) and the teriaki chicken was terrible overall - it looked like prewarmed chicken breasts with a sauce poured over it. For those at the table that had the salmon, the dishes were "OK" and the one member that ordered a seafood gumbo said it was good. It had been awhile since we had been to the restaurant and it will likely be awhile before we return (if ever). Great service, creative food options, reasonably priced. We LOVE The Wave! Excellent food and service every time! Customers since 2005. The Wave is my favorite restaurant in Omaha. It is perfect for a date night or special occasion. The staff is outstanding. The menu and food are the best. The ambiance is perfect. It is just a great place. Food and service has always been excellent! Super slow and they didn’t say on the menu that my meal had nuts. So I was unable to eat it. Was able to swap with the husband, but I was bummed. They were kind. Just not the best service I’ve had. 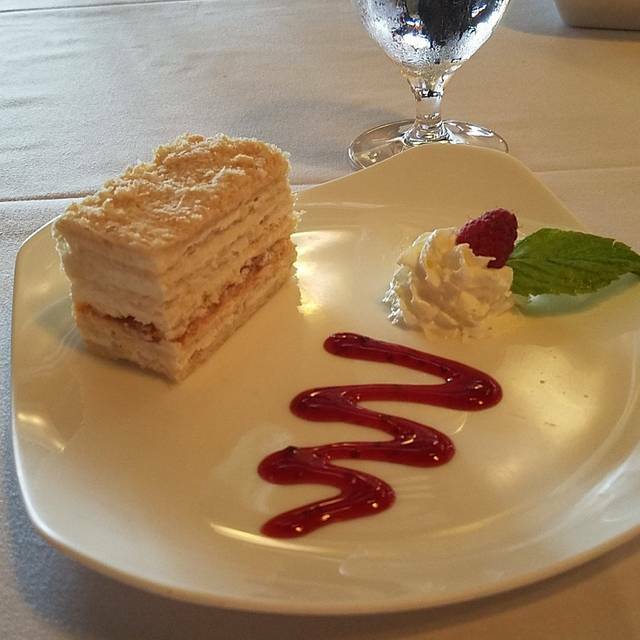 Our family has enjoyed Wave Bistro since it opened its doors. Excellent service always and the food is consistently outstanding. Many of our friends and family now dine there regularly as well. The staff is friendly and attentive, especially James! Every time we visit the food and service are stellar. We have loved every dish tried. Presentation is wonderful. Service is spectacular. In town for a quick visit and took some friends to dinner. Creative menu, with several Asian items that were new to us. Delicious! I had resided in Calf. for several years. When I came to Omaha, friends took me to the Wave Bistro for dinner. I have since moved to Omaha and thought of " The Wave " for my birthday celebration. The waiting staff was exceptional and the food superb. We had an enjoyable evening with a delicious dinner. We never felt rushed. Although our initial service was slow, the wait staff worked diligently after we asked to order our dinner. The food was excellent with a beautiful plate presentation. Since it was a special occasion, the birthday girl was served three different samples of creme brûlée. All three were wonderful. And, again, a beautiful presentation. We will certainly be back soon.